Janusz Mitulski (MRICS) is Director of International Hotel Development at Marriott International. 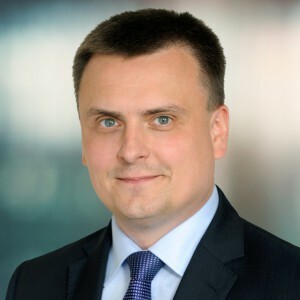 He is responsible for the hotel chain’s growth across Central and Eastern Europe and the Baltic Countries. Before joining Marriott International in 2015, Janusz was a partner at the consultancy Horwath HTL Poland, where he headed up the Hotel and Tourism Consultancy Team for over 6 years. Before this he worked for the Qubus Hotel chain in Poland, where he served as General Manager of two hotels, and later Sales and Marketing Director for the entire chain for over 5 years. He has extensive strategic and operational experience within the growing Polish hotel market. Over the past 15 years, Janusz has been intensely involved in developing and championing the Polish hotel industry. He was a Vice President and member of the Supervisory Board of the Chamber of Polish Hotel Industry for last 7 years and has been a guest lecturer at multiple hotel schools. He has authored a Hotel Guidebook and co-founded the Hotel & Tourism Trends industry conference. Janusz Mitulski is a graduate of the Faculty of Law and Administration at Adam Mickiewicz University in Poznań and studied MBA from the University of Economics in Poznań. Janusz is a Member of the Royal Institution of Chartered Surveyors (RICS).